YORKTOWN HEIGHTS, NY – August 26, 2011 — Matthew Cossolotto — aka “The Podium Pro” and author of All The World’s A Podium – is promoting his lineup of PodiumPower! programs and services by offering new clients a special 50% discount on their first project. Cossolotto’s PodiumPower! lineup includes: Executive speechwriting; one-on-one speech coaching; strategic messaging/media relations; keynotes and workshops. Cossolotto is an accomplished CEO-level speechwriter and speech coach who also served as an aide to Congressman Leon Panetta (now Defense Secretary) and House Speaker Jim Wright. In the private sector, Cossolotto has served as a top speechwriter and communications executive at MCI, Pepsi-Cola International, and GTE. All The World’s A Podium (signed copies available on http://www.ThePodiumPro.com) has been praised by a diverse group of high-profile leaders and executives in both the private and public sectors, including Hendrik Hertzberg, former House Speaker Jim Wright, H. Brian Thompson, TJ Walker, John B. Anderson, Lou Tice, Chris Sinclair, Sherry Mueller, and Granville Toogood, author of The Articulate Executive. — Chris A. Sinclair, Former Chairman and CEO, Pepsi-Cola Co.
To book Matthew as a speechwriter, speech coach or guest speaker, contact Matthew@ThePodiumPro.com. For more information, please visit http://www.ThePodiumPro.com and http://www.MakeAPromiseDay.com. “Standing O” and “Make A Promise Day” greeting cards and other exciting gift items are available for convenient online purchase by visiting Matthew’s Zazzle store: http://www.Zazzle.com/TheCoz. 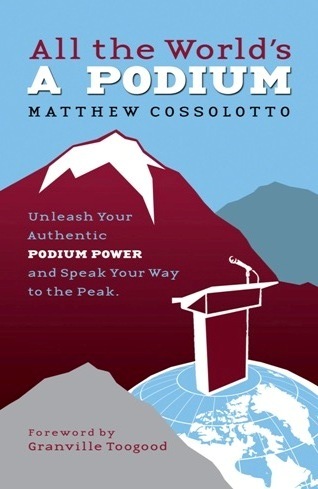 YORKTOWN HEIGHTS, NY – July 15, 2011 — Matthew Cossolotto — aka “The Podium Pro” and author of All The World’s A Podium — announced an agreement with a leading global company to provide his signature “PodiumPower!” speech coaching services and workshops. Cossolotto is an accomplished CEO-level speechwriter and speech coach who also served as an aide to Congressman Leon Panetta (now Defense Secretary) and House Speaker Jim Wright. In the private sector, Cossolotto served as a top speechwriter and communications executive at MCI, Pepsi-Cola International, and GTE. Under the recently signed agreement, Cossolotto will provide one-on-one speech coaching services for several executives and a series of PodiumPower! workshops. Visit http://www.ThePodiumPro.com; http://www.MakeAPromiseDay.com; http://www.MakeAPromiseDay.wordpress.com; Follow Matthew and “Make A Promise Day” on Twitter: http://www.Twitter.com/MakeAPromiseDay. “Standing O” and “Make A Promise Day” greeting cards and other exciting gift items are available for convenient online purchase by visiting Matthew’s Zazzle store: www.Zazzle.com/TheCoz. YORKTOWN HEIGHTS, NY – August 2, 2010 – If you’re looking for an expert guest speaker, workshop leader, speechwriter or speech coach, Matthew Cossolotto has a solution: Bring in a pro … The Podium Pro! Cossolotto – aka “The Podium Pro” – has announced the launch of www.ThePodiumPro.com, a new website that highlights his impressive array of guest speaking topics and PodiumPower! coaching and speechwriting services. 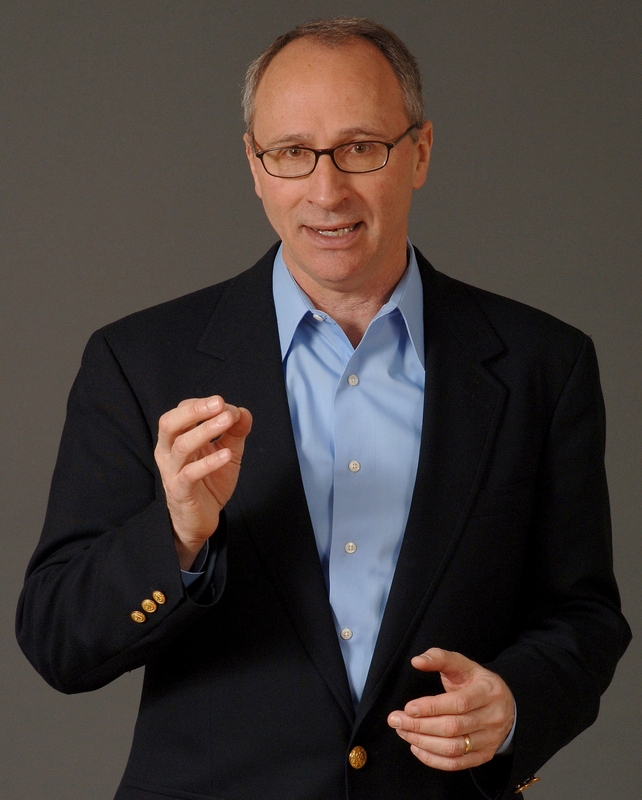 To reward organizations for booking his inspirational new keynote – “The Power of Making a Promise” – Cossolotto is offering an introductory half-off fee for the first ten engagements booked this year. To learn more about Matthew’s programs related to “The Power of Making a Promise” visit www.TheMakeAPromiseCoach.com. “I’m very excited about my new positioning as The Podium Pro because this umbrella covers all of my existing and emerging guest speaking programs and builds on my extensive experience providing PodiumPower! coaching and speechwriting services,” Cossolotto said. A former aide to Congressman Leon Panetta and to House Speaker Jim Wright, Matthew later served as a speechwriter and communications executive at MCI, Pepsi-Cola International, and GTE. 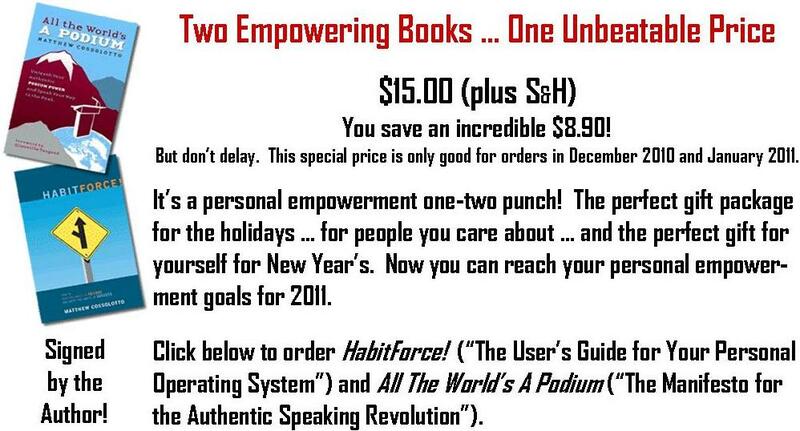 In 1996 Matthew founded Ovations International – “Home of the Standing O®.” He is the author of the forthcoming The Power of Making a Promise, All The World’s A Podium, and HabitForce! To book Matthew as a guest speaker, speechwriter or coach, visit www.ThePodiumPro.com.